AMD CEO Lisa Su already expressed the intent to bring back high-end GPUs into the game in the Q3 financial report from last month, and now Su is reiterating these plans, saying that AMD is ready to dominate all GPU sectors once again. 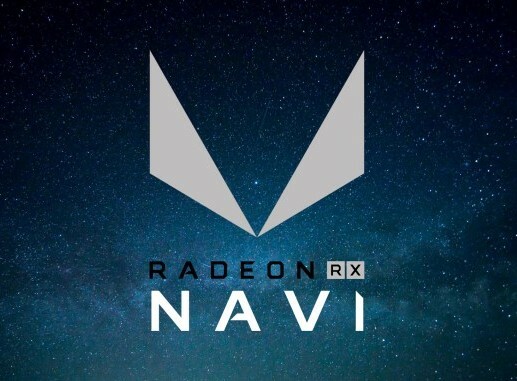 Navi would be AMD's answer to Nvidia's mid-range RTX 2070 cards, while Arcturus (expected in late 2019) would take on the RTX 2080 Ti and beyond. Remember the days when AMD was giving Nvidia a run for the money in mostly all gaming GPU sectors? Around 10 years ago, not only the mid-range solutions, but AMD’s high-end ones as well were trading places with Nvidia’s offers each other year. The competition was something else back then. Nowadays, not so much, as AMD somehow decided that the mid-range is good enough and crypto miners usually favor the red team cards, so only this sector needed constant refreshes. However, the crypto world saw a considerable decline this year, which gave AMD and Nvidia a hard time with overstocked distribution channels and poor sale figures, plus Nvidia released the RTX 2000-series. Accordingly, AMD is planning to make a comeback with competitive gaming GPUs across all sectors for 2019, a strategy which was elaborated by AMD CEO Lisa Su at a recent Credit Suisse telecommunications event in Arizona. According to a transcript posted by WCCFTech, Lisa Su stated that "we will be very competitive overall and that includes the high-end of the GPU market. Obviously, there are new products out there from our competition. We will have our set of new products as well and we will be right there in the mix.” Regarding the new Ray Tracing tech that Nvidia is trying to push, Su explained that she thinks it is “an important technology, but as with all important technologies it takes time to really have the ecosystem adopt [it]. And we’re working very closely with the ecosystem on both hardware and software solutions and expect that ray tracing will be an important element especially as it gets more into the mainstream […]” This statement seems to be in-line with what Su stated in the Q3 financial report, especially the “building on a solid long-term foundation” part. With the release of its 7 nm chips, AMD will be ahead of both Intel and Nvidia, at least as far as manufacturing processes are concerned. It looks like the first Navi chips slated for 1H 2019 will aim at offering a true competitor for the RTX 2070 cards, while the high-end GPUs (possibly codenamed Arcturus) may come in late 2019 most likely.